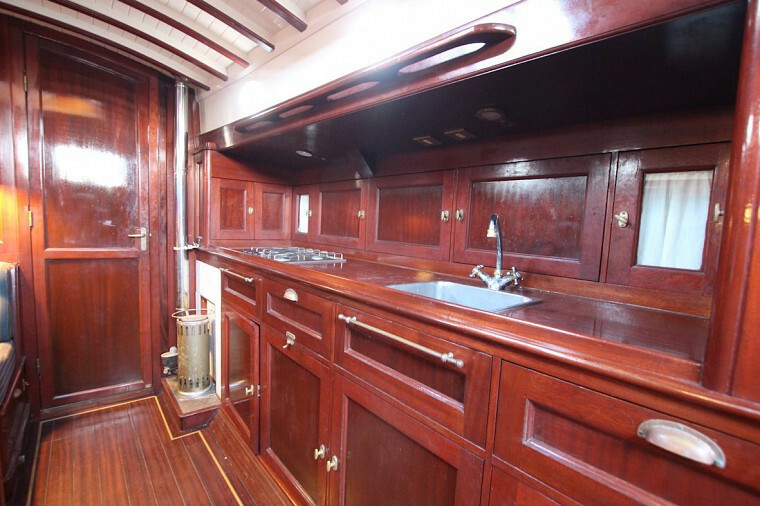 Pantry: full equipped galley, waterpressure pump, Hot water boiler, Fridge, 3 bruner gastove. 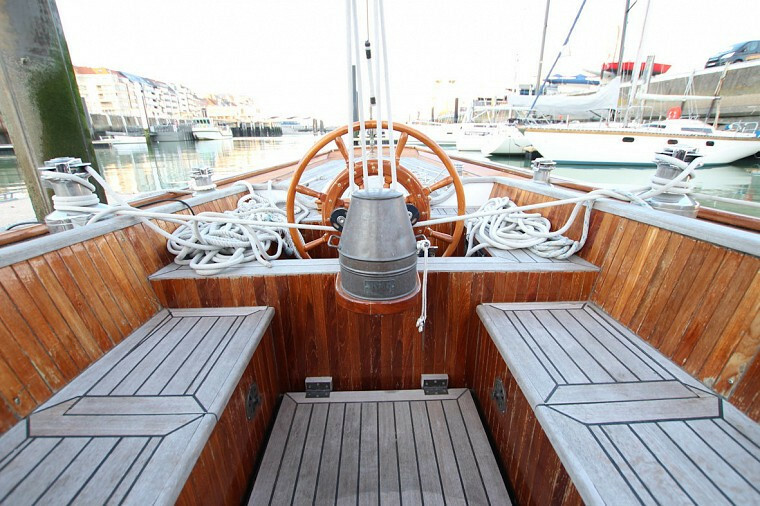 Beschreibung: Launched in 1938 as a 100m2 Class racing yacht 'Wal', this Burmester build Classic has a comprehensive and fully documented history and pedigree. Burmester himself was responsible for her fluent lines and build X18 called "Robbe" and X19 called "Wal". 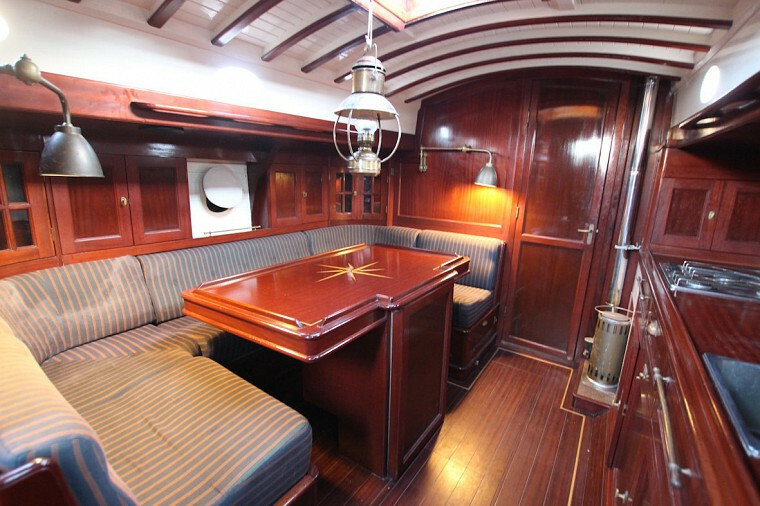 A total of nineteen 100m2 Clas Seefahrtkreuzers were built by Abeking & Rasmussen and Burmester. 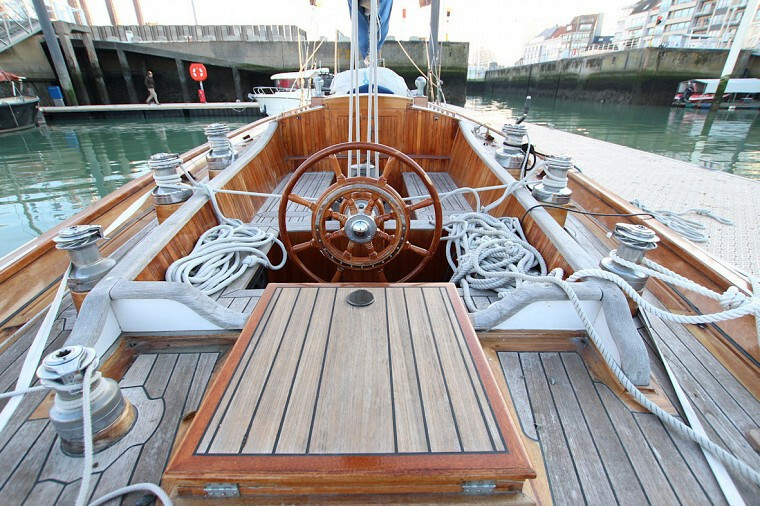 Burmester himself was an acclaimed yachtsman with victories in the Admirals Cup and Fastnet Race. 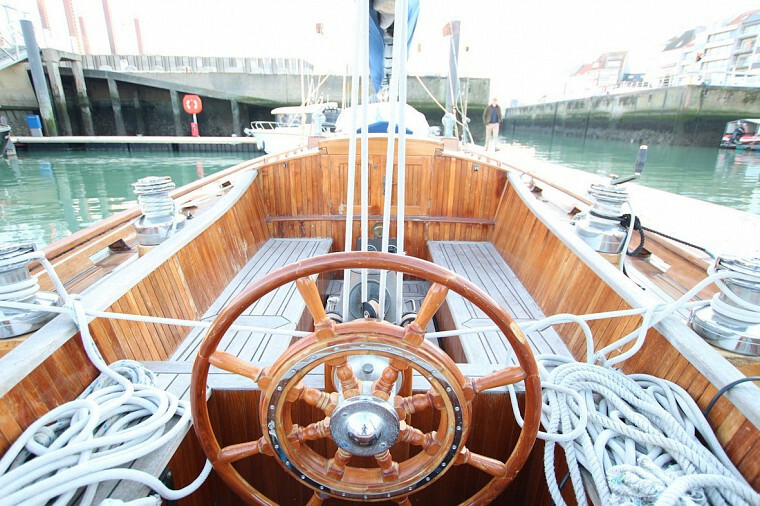 He also built numerous yachts for Statesman and celebrities. Claimed in 1946 she was moved to the United Kingdom where 'wal" served for the Royal Navy until 1977 as a training vessel. 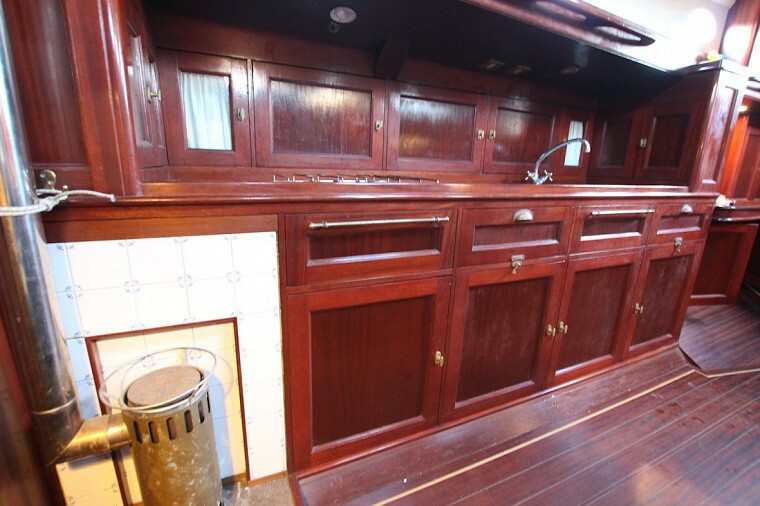 After some troubled times, the former Dutch owner acquired her in 1992 from an English Carpenter. 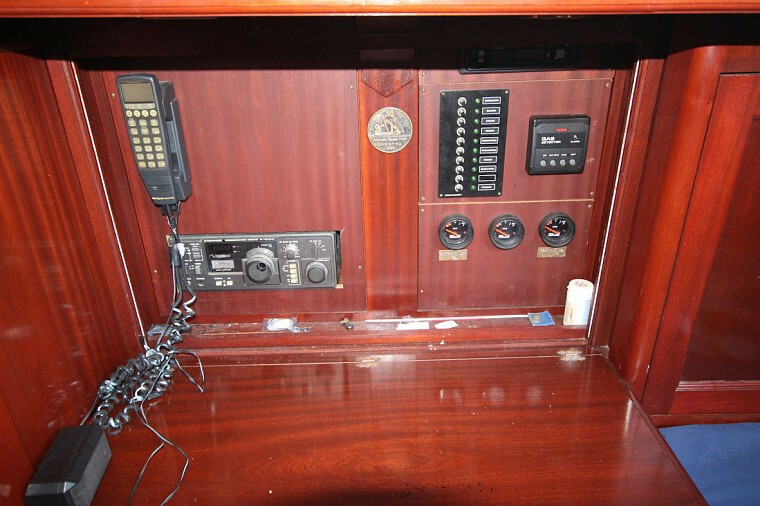 After careful investigation and documentation, the now renamed yacht "Zeearend" was carefully and extensively restored until she was completed in 1996. 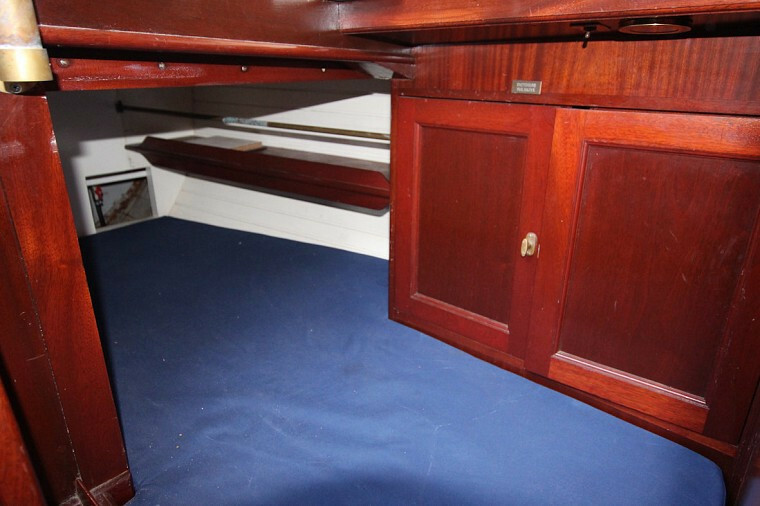 Her mahogany hull was found to be in good condition throughout. Her steel frames were sandblasted and where needed replaced. 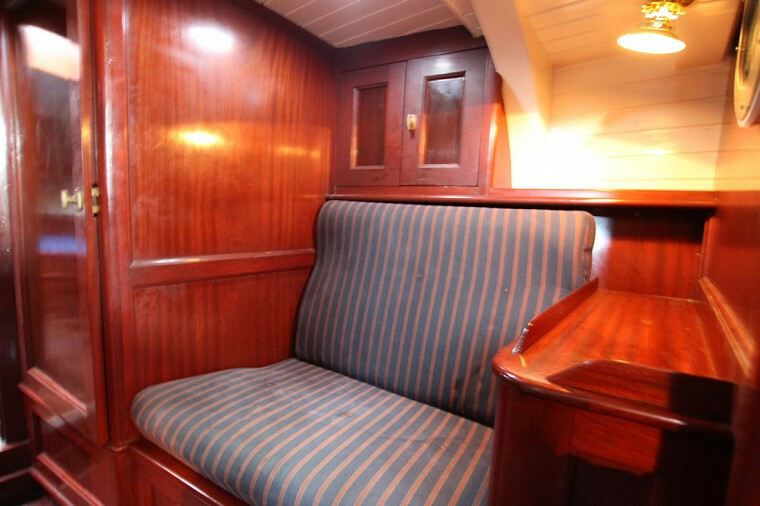 After which her seems were milled out and filled with epoxy soaked strips. 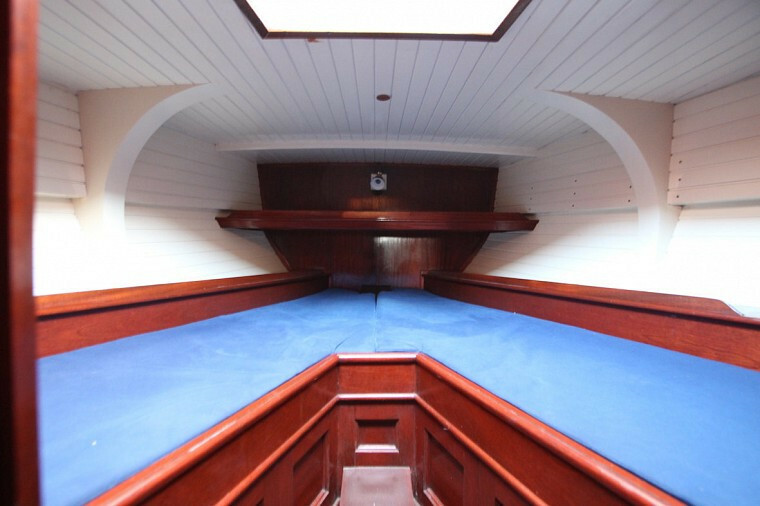 Then the exterior of the hull was laminated with SP Systems epoxy coating and the interior coated with a breathing topcoat. 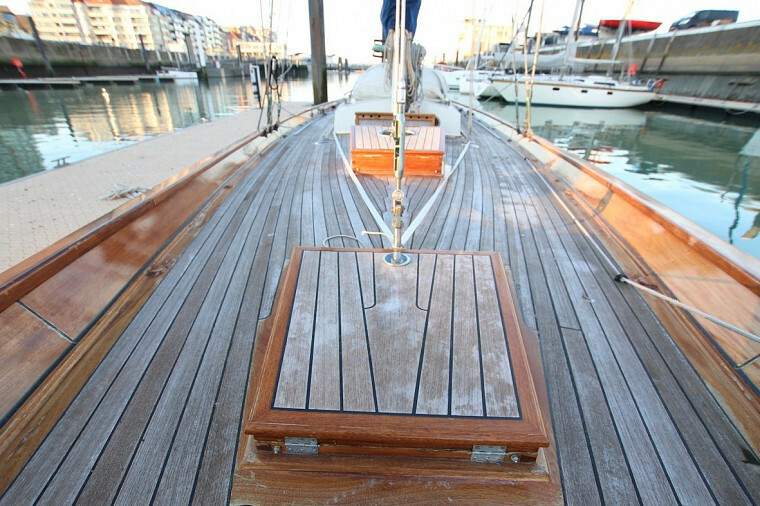 A method called "dry-restore" resulting in a dry maintenance free hull. 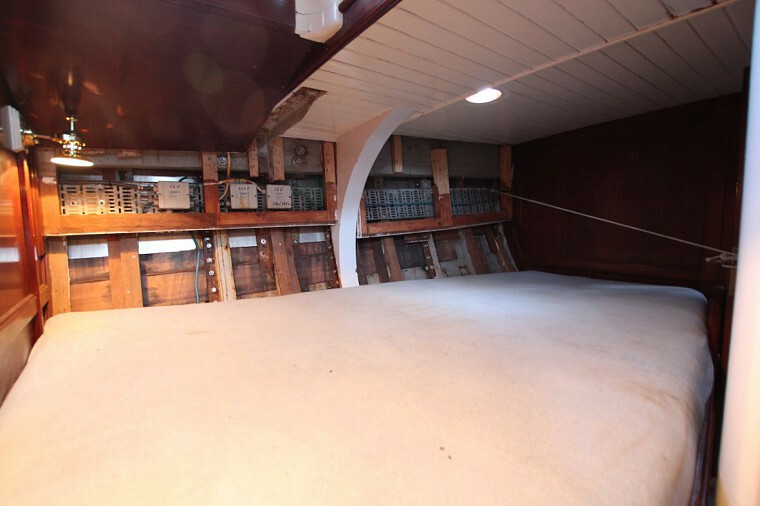 Further restorations and renewals were done on decks, superstructure, interior, rigging, electronics, engine and propulsion, rudder systems etc. 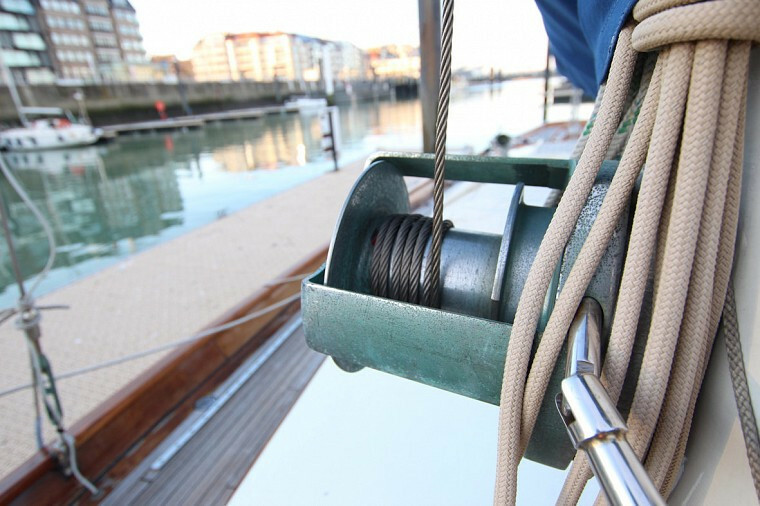 Her classic fractional rigging was no longer available upon which the owner had her re-rigged with a Bermudian cutter rig for easier handling and comfort. in 2001 she won an acclaimed prize from the Dutch government. 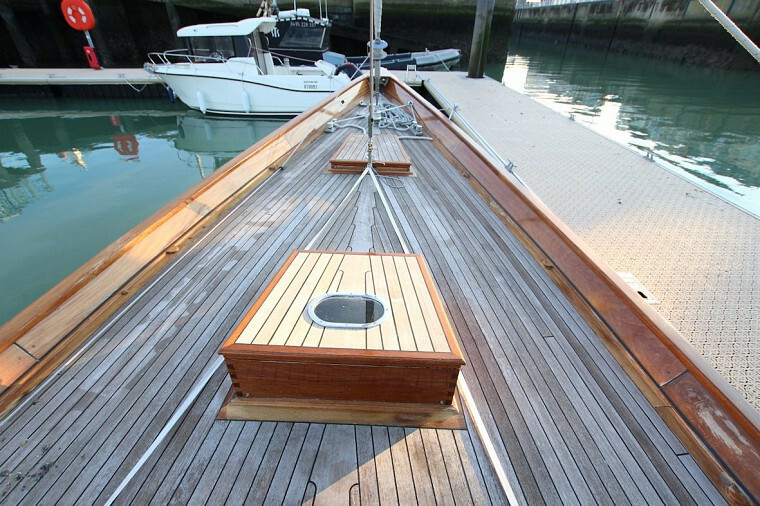 "Zeearend" has been featured in numerous magazines and set the benchmark for many classic yachts owners. 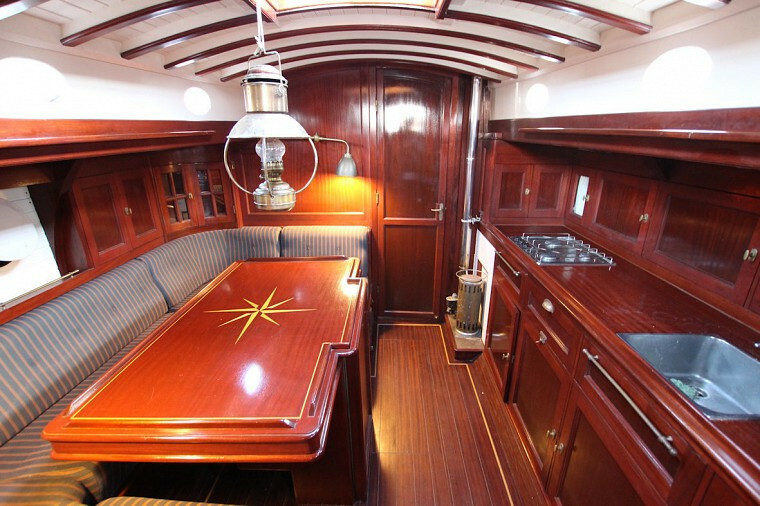 She is an acclaimed yacht with excellent business and promotion, marketing opportunities. 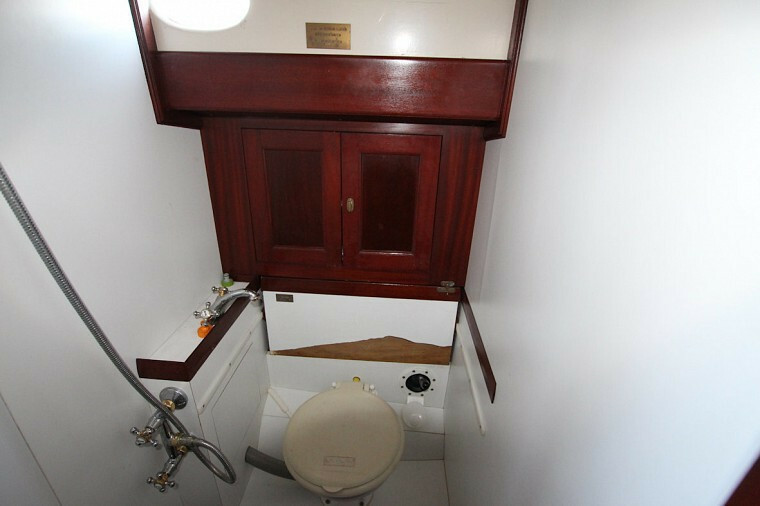 But foremost she is a very comfortable, easy to maintain and handle classic sailing yacht with a very comfortable interior equipped with all modern creature comforts. 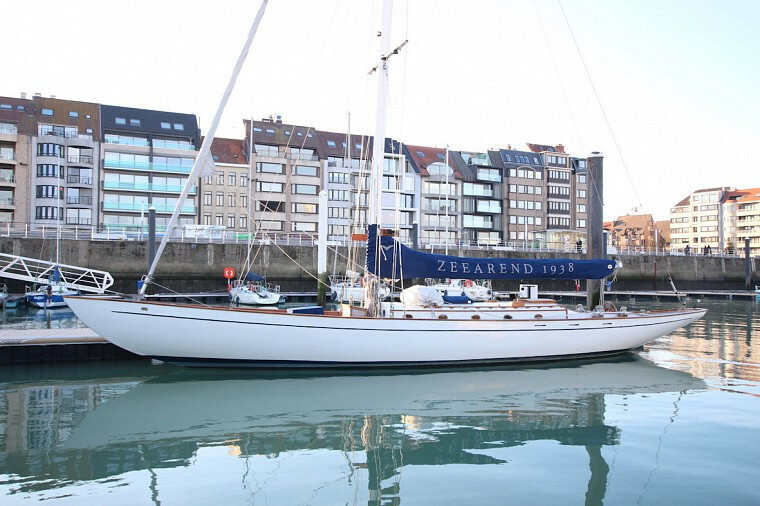 Nowadays she is located in Ostend, Belgium. 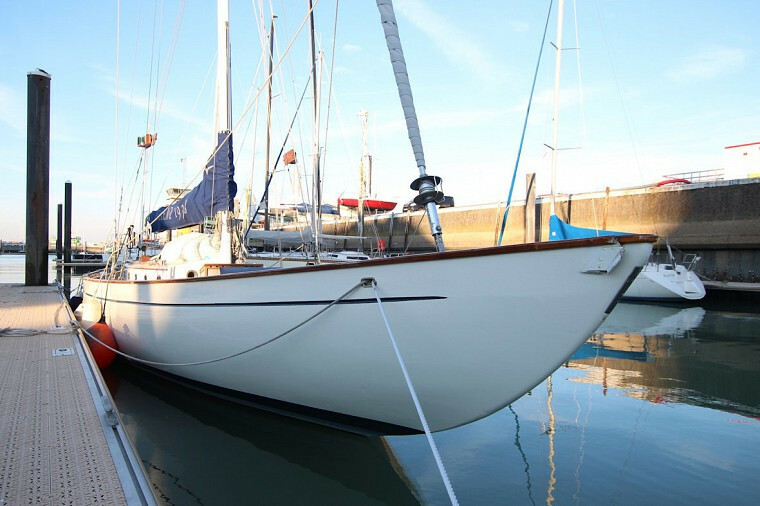 Where she is looked after by her current owners who sail her very often. 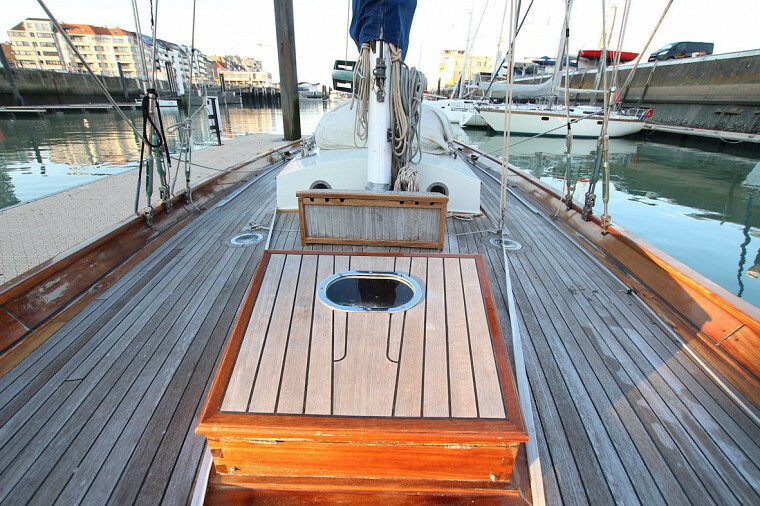 During winter time she is placed at Lowyck Shipyard who is specialized in classic wooden yachts.